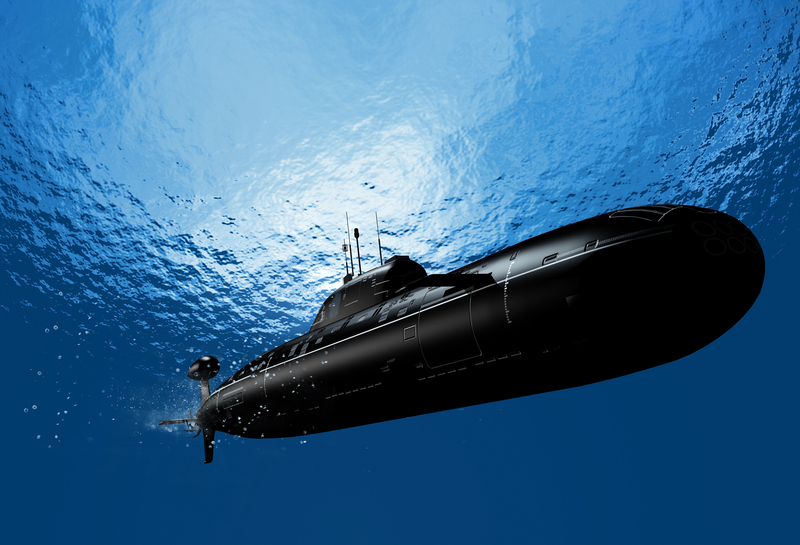 Submarines may soon be able to travel through water at increased speeds while cutting down fuel costs. This is thanks to new research development on an “omniphobic” coating from the University of Michigan. This new coating has the ability to repel almost any liquid. The Navy is backing the University on this research, expressing interest in applying it to their ships. So, how exactly does this coating work? According to Task & Purpose, the new advanced coating has “millions of pockets of air trapped underneath, which essentially create an air film that causes water to slide off a surface. That results in lower friction and significantly reduces drag.” Ordinarily, there is a significant drag that occurs when ships travel through water, which requires a large amount of fuel in order for the ships to power through. By reducing the friction and drag, the ships will be able to glide through the water at fast speeds and use less fuel. Therefore, the Navy would largely benefit because of the ability to travel further distances without spending more money on fuel. Throughout the years, the team put in a lot of effort towards finding the right chemical combination. They searched through computer databases for chemicals and used equations to predict the reaction that would occur after mixing two together. It was their hope that the coating would be able to perform well in a harsh ocean environment as well as last for many years. The chemical combination they landed on can not only repel water, but also endure any nicks or scratches that may come from traveling through the ocean. How Long Before It’s Applied to the Ships? Though the researchers have made significant progress, the coating still needs to be perfected and thoroughly tested before it is put onto the Navy ships. They expect it to be ready for use on military ships in roughly two years. Additionally, the researchers are looking into ways this coating could be used elsewhere, such as on clothing and recreational boats. National Coating Corporation is an industry leader specializing in water-based and solvent-based coating and saturation services and we are ready to help you with your unique needs. To learn more, visit our Capabilities page.